The Lost Notebook Returns: My book! My first book will be published in April! ...ahem, well, not exactly...but I wish!! But, I'm not entirely lying. My name (appearing as "Ishikura Naoko") will be on one of the stories as a translator in the book called Fishing Stories. It's the very first time to have my name on any printed books in history, and I'm really excited! Fishing Stories is written by Henry Hughes who is a professor of English at Western Oregon University and is also a renowned poet and writer. 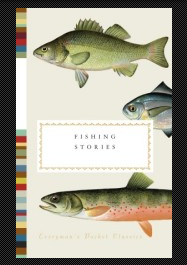 This book is comprised of stories about fish and fishing all over the world. Last summer, I had a privilege to work with Henry on translating Ueda Akinari's Muo-no-rigyo 夢応の鯉魚 (translated as The Dream Carp) in Ugetsu Monogatari (雨月物語, Tales of Moonlight and Rain, 1769). It took a good two weeks or so working on translation, submitting several drafts, emailing back and forth with Henry and discussing and examining the translation, word to word. I had translated some work instructions and manuals when I worked at a Toyota group factory, but I'd never translated literary work before. So, I struggled a bit between accuracy and creativity. The more I read the original Muo-no-rigyo, the more I was able to capture poetry of it, and from time to time I experienced some sort of translator's ego to add "personal color" to the work, just because I think it would sound more beautiful or what not. But, in the end, I learned that I should always be true to the original, because it is not my work, after all. —Fishing Stories will be published from Random House, Inc. on April, 16th, 2013, and can be pre-ordered here.